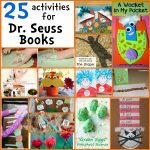 It’s almost Dr. Seuss’s birthday! On March 2nd, we celebrate this creative author’s birthday. 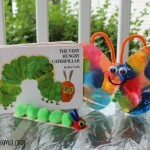 His books are so clever and fun! Yes, I’ll admit that some books are hard to read. I mean, have you read Fox in Socks??! That one is a tongue twister! 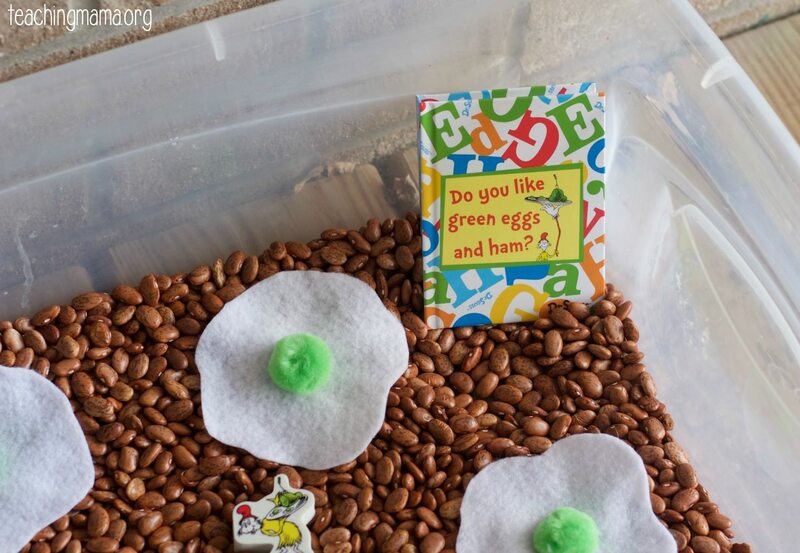 Today I’m sharing with you a sensory bin we made to go along with the book, Green Eggs and Ham. 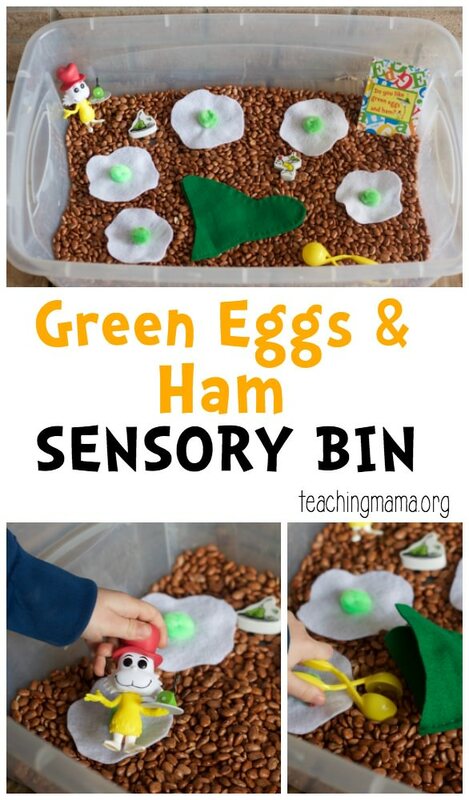 Before playing with the bin, I created the green eggs and ham. I cut out white felt to look like egg whites. Then I sewed a green pom pom on top. For the ham, I cut out this shape from the green felt and had two layers. Then I sewed around the edges and kept the widest part open. It was not too hard to make! I had wanted my kids to take the beans and scoop them into the ham. And they did! 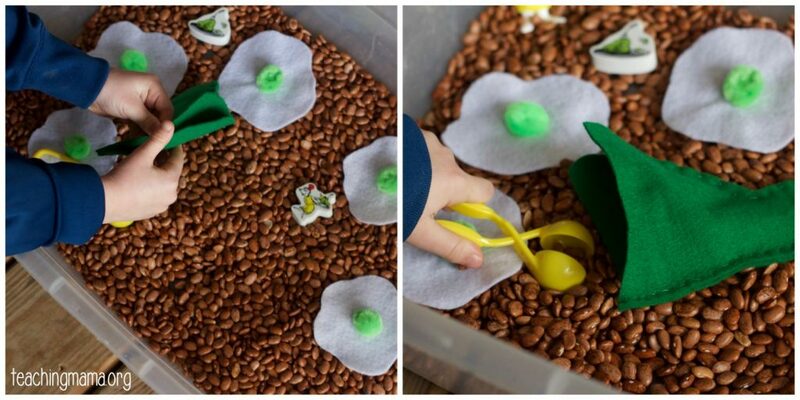 I love this scooper that’s part of a fine motor tool kit. 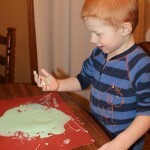 Once everything was ready, my kids played with it! 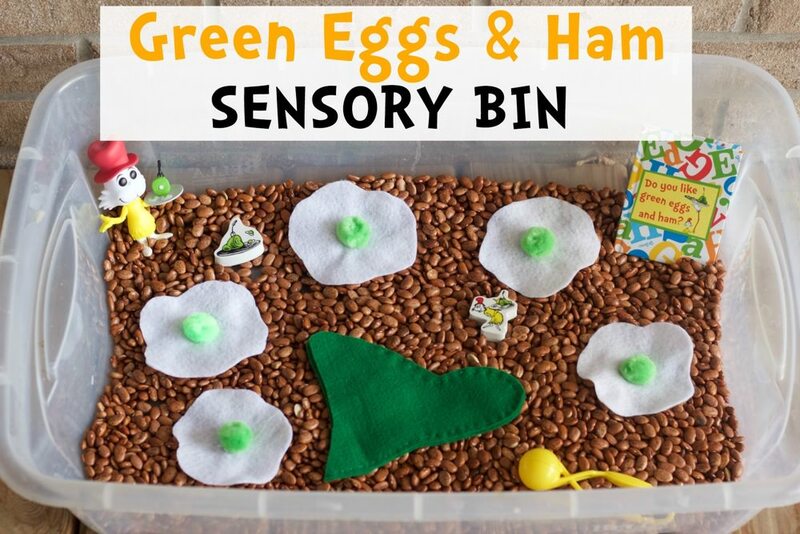 This bin is good for imaginary play as well as sensory play. I love the way the beans feel in our hands. 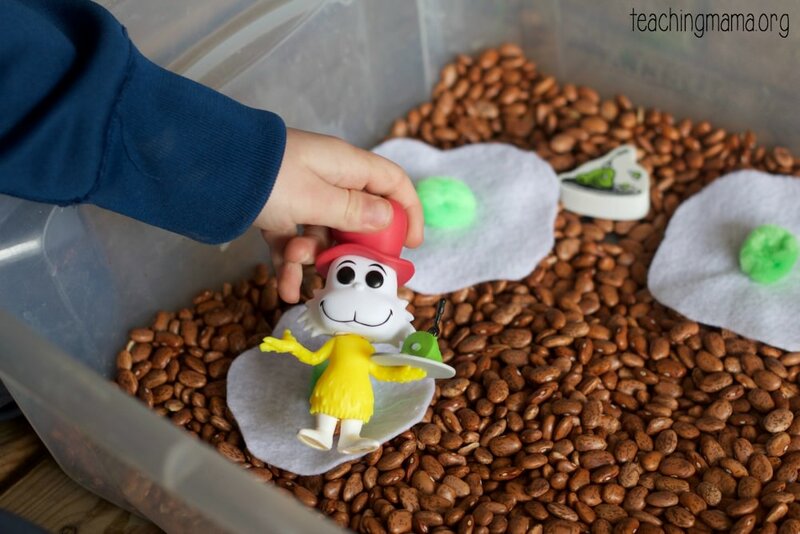 It’s fun to scoop and pour the beans into containers or the pretend green ham. 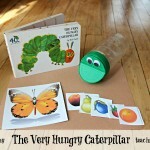 You could also use the pretend food in this bin for imaginary play in your classroom or home, too. The little notebook is from the Target dollar bin. It’s blank inside so it would be fun to use in a writing center. 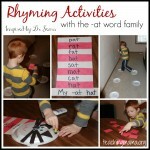 Even if they are just scribbling in the book, they are still working on the beginning stages of writing! 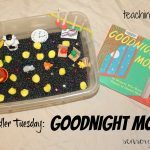 Hope this bin inspires you to create one for your child or classroom! Happy Birthday, Dr. Seuss!